This is a gorgeous bar chair with a stunning vintage style. 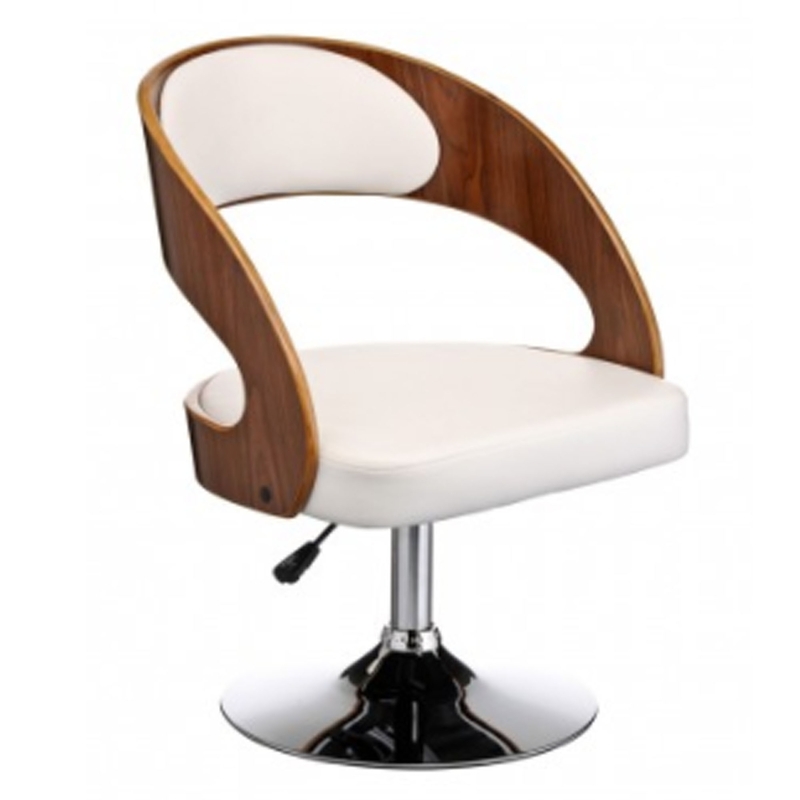 It has an amazing white leather chair and back, alongside a stunning walnut wood. It's sure to make a statement in any room because of its fantastic, modern style. This chair also has an adjustable seat and a sturdy metal base.